PS: 'Feilíre 2014' / '2014 Calendars' are still available. Contact the PA pa@gaelscoilchionntsaile.ie if you would like to purchase one at just €10 per calendar. All profits will benefit the school & your child. Remember PA news is published on 'Nuacht Eile' which has a separate email subscription service. Both nuacht sources are also available by "liking" us on Facebook or "following" us Twitter. Beidh cóisir ranganna againn ar an Aoine 20/12/2013. Tá cead ag na páistí aon éadaí Nollag atá acu a chaitheamh -geansaí na Nollag, hata na Nollag srl má tá siad acu. Muna bhfuil ná bí buartha, is féidir gnath éadaí a chaitheamh. Tá cead ag na páistí milseáin a thógaint leo ar scoil. Tá cead acu bréagáin a thabhairt leo más maith leo ach mar is gnách níl cead na cinn ríomhairí ná dsi/ipad/itouch srl a bhreith leo. Má bhristear srl aon bréagáin ar scoil ní féidir linn a bheith freagrach astu. Mar is gnách ag deireadh téarma -Nollag, Cáisc agus Samhradh- beidh leath lá againn ar an Aoine -naí ranganna agus a dreathaireacha & deirfiúracha ag imeacht ar 12.00. Ranganna 1-4 12.15. Beidh páistí an bhus ag imeacht ag 12.00. 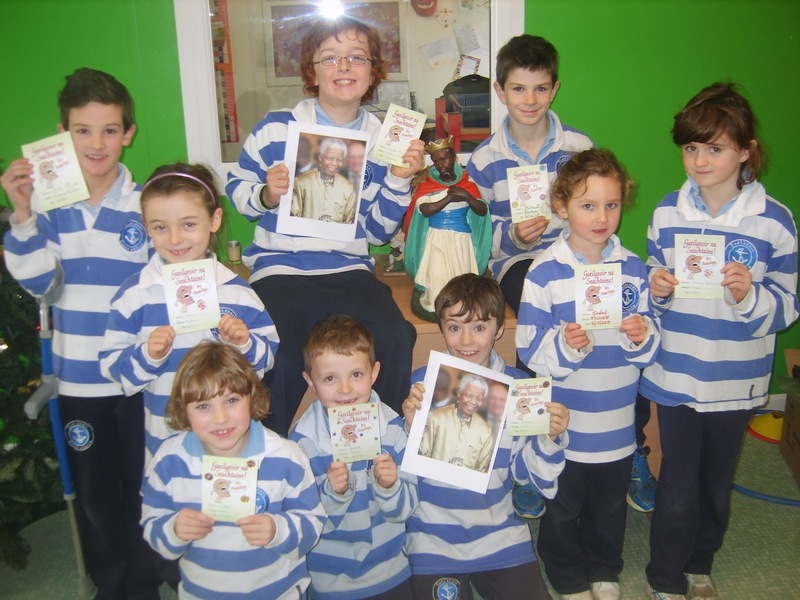 Beidh an scoil ag ath-oscailt Dé Máirt, an 7ú Eanáir 2014 (!) ag 08.50. Guím Nollag faoi shéain is faoi mhaise daoibh! There will be class parties on Friday 20/12/2013. The children may wear their ordinary clothes -any Christmas jumpers, hats etc they may have. If they don't have any Christmas gear don't worry at all, ordinary clothes will do. The children may bring sweeties and a toy to school. As usual, electronic games, dsi/ipad/itouches etc are not allowed. The school cannot take responsibility for any toys broken or damaged etc in school. As with every end of term -Christmas, Easter and Summer- there will be a half day on Friday. Infant classes and their brothers and sisters leaving at 12.00. 1-4th classes leaving at 12.15. The school bus will leave at 12.00. The school will reopen Tuesday 7th Jan 2014 (!) at 08.50. Merry Christmas to you all! 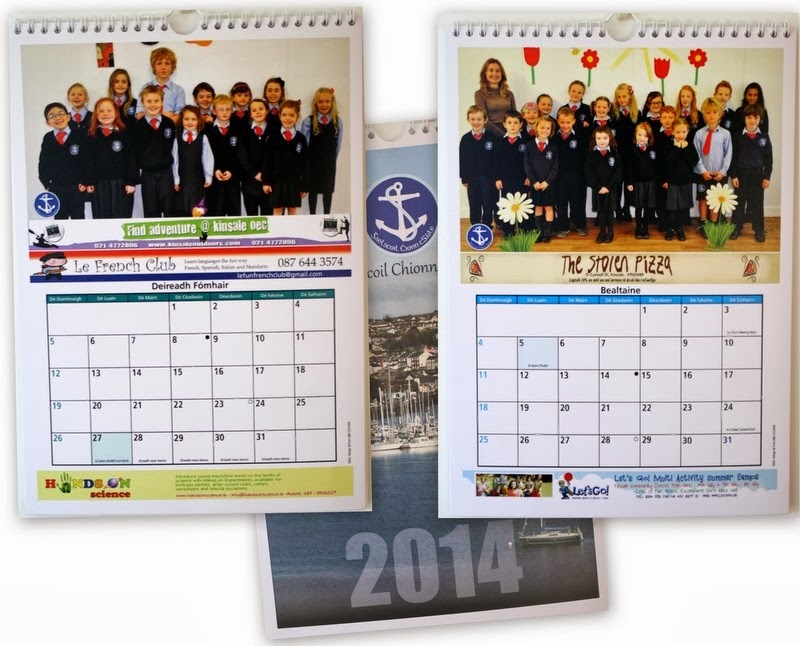 Feilíre 2014 - 2014 Calendars still available - click here for details. Fé mar is eol daoibh tá alán costais ag baint lenár ndrámaí a cur ar siúl idir costaisí busanna agus cíos an halla don gcleachtadh agus don oíche féin. Go dtí seo ta thart ar €1,000 caite ar bhusanna don gcleachtadh agus €400 d'úsáid an halla. Níl aon rud saor in aisce na laethanta seo! Dá bhrí sin táim ag lorg ar dhaoine síntiúis a thabhairt ag an doras -táim ag ceapadh timpeall €5 an duine nó b'fhéidir €10 an teaghlach mar shampla. Bheimíd fíor-bhuíoch as na síntiúisí seo agus gan amhras ní bheimíd ag cur brú ar éinne má tá cúrsaí airgead teang. Beidh an seó ag tosnú ag a 6 ar an spota. Ba cheart a bheith sa halla óna 5.30 ar aghaidh agus mar a dúirt an múinteoir ranga. As you know between rehearsals, buses and renting a venue there is a big cost associated with putting on a show. Until now we have spent approximately €1,000 on buses for rehearsals and €400 for the use of the hall. Nothing is for free these days! Therefore I am looking for donations at the door tonight -I'm thinking around €5 per person or maybe €10 per family for example. We are extremely grateful for these donations but of course we will not put pressure on anyone that is experiencing financial difficulties. The show will begin at 6 sharp. The children should arrive from 5.30 onward and as directed by their class teachers. 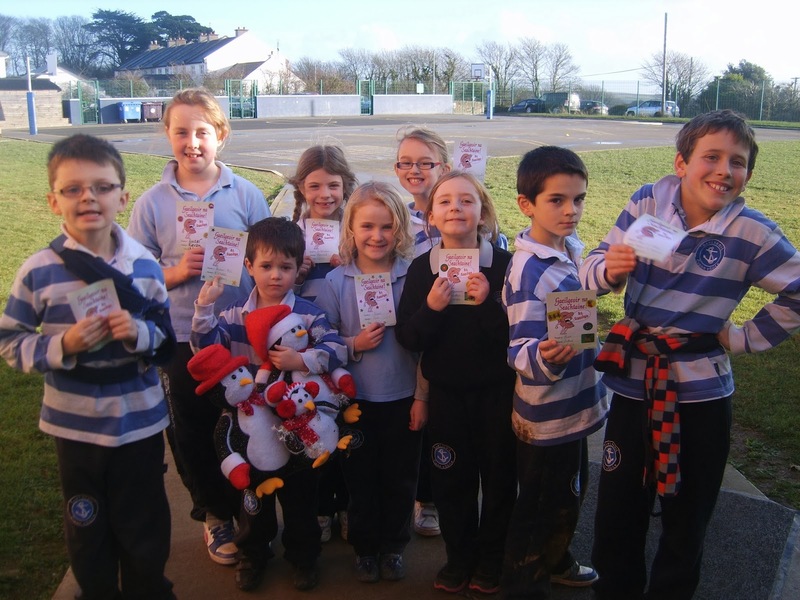 Beimid ag tógaint na hearraí i gcóir Comhlucht an Naomh de Pól síos go dtí an tSáile ar 11.00 maidin amárach 18.12.2013. Go raibh míle maith agaibh as ucht bhur bhflaithiúlacht. We will be taking the groceries for St. Vincent de Paul down to Sáile at 11.00 tomorrow morning 18.12.2013. Thanks very much for your generosity. 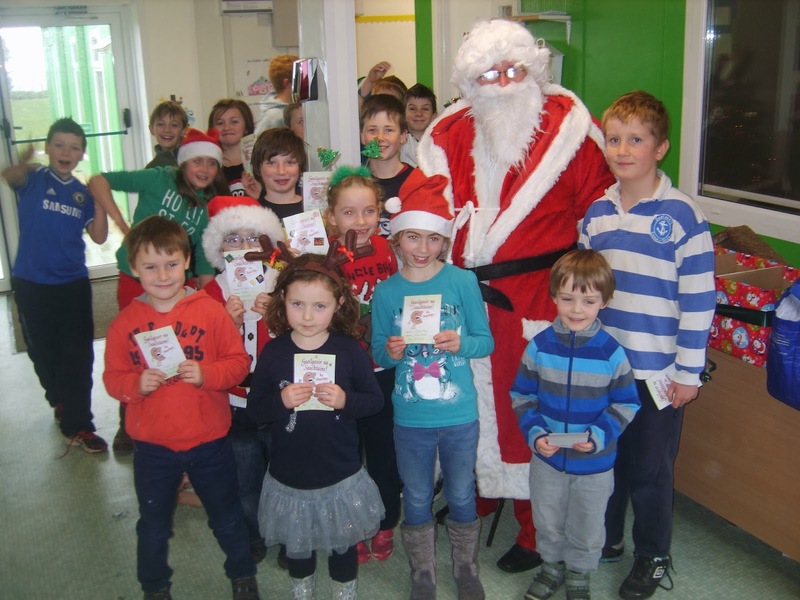 Beidh an dara bhabhta do Dhíospóireacht Náisiúnta na hÉireann ar siúl i Scoil Náisiúnta Ardfield i gCloch na Coillte, Déardaoin 19ú Nollaig 2013 ar a 11:00. Má tá aon tuismitheoir in ann síob a thabhairt do pháistí Rang 5, ag fágaint na scoile thart ar 10:00 agus ag teacht thar nais thart ar 12:00, téigh i dteagbháil le Hilda chomh luath agus is féidir. Tá síobanna againn don fhoireann díospóireachta faoi láthair (go raibh míle maith agaibh!) ach má tá daoine ar fáil chun síob a thabhairt, beidh na páistí eile in ann teacht linn mar tacaíocht don fhoireann. Go raibh míle maith agaibh go léir as ucht bhur gcabhair agus tacaíocht. Our debating team will be competing in Round 2 of the National Primary Debating Championships this Thursday 19th December 2013 at 11am in Ardfield National School, Clonakilty. If any parent is available to give a lift to some Fifth Class pupils, we would be very grateful if you could contact Hilda ASAP. We plan to leave the Gaelscoil at 10am and should be returning around 12 midday. The debating team themselves have lifts organised (thank you very much to their parents) but it would be great if we could bring some other children from the class along to support our team. We really appreciate your continued support, go raibh míle maith agaibh! Remember PA news is published on 'Nuacht Eile' which has a separate email subscription service. PS: Do not forget the '2013 Aonach na Nollag' which will be held at the White Lady this Sunday 15th December 2013 from 3pm to 6pm. Admission is only €10 / family (or €5 per adult and €2 per child) and includes a visit to see Santa. See you all there! Is é an Luan 16ú Nollaig 2013 an lá deirneach chun na 'Christmas Annuals' a cheannach. €4 an cheann, ar díol in oifig na scoile. This Monday 16th December 2013 is the last day to buy the Christmas Annuals. €4 each, for sale in the school office. Tá dráma na Nollag ar siúl ar an Mháirt 17ú Nollag '13 ag a 9. Bí ann le do pháiste gléastadh suas ar 8.50 a.m.
Beidh an rang ar fad páirteach san seirbhís a bheidh ar siúl sa séipéal ar an nDéardaoin an 19ú Nollag '13 atá ag tosnú ag a 6 p.m. Bí ann ag a 5.50 p.m. Beidh an dráma 'Scéal na Nollag' á dhéanamh ag leath don rang agus gach páiste sa rang páirteach sna hamhráin a bheidh á chanadh acu ar an altór. Is féidir le do pháiste an phríomh pháirt dár éadach don ndráma a chaitheamh ar scoil ar an Luan an 16ú Nollag '13 lasmuigh dá néide scoile. Níl gá dóibh gléasadh suas go hiomlán m.s. sciatháin,hataí, bróga srl. Mura bhfuil spás ina málaí dos na héadaí tabhair mála plaisteach dóibh lena nainm scríbhte air go soiléar!Má tá aon cheist agaibh cur glaoch ar Hilde agus cuirfidh mé glaoch thar nais oraibh. Ní bheidh obair bhaile ag an rang go dtí an bhliain nua. Dúirt páiste liom inné go raibh sí chomh traochta go raibh sé deacair uirthi siúl go geata na scoile. Mar sin beidh an sos ó obair bhaile ag teastáil. The Christmas play is being held in Riverstick Hall on Tuesday 17th December '13 at 9 a.m. Please have your child there in costume at 8.50 a.m. The entire class will be taking part in the service that will be held in the church on Thursday 19th December '13 which is starting at 6 p.m. Be there at 5.50 p.m.Half the class will be doing the Nativity play and every child in the class will be taking part in singing songs on the altar. Your child can wear the main part of the costume to school on the 16th December '13 outside of their school uniform. They don't have to dress up fully – eg. No need for wings, head wear, shoes etc. If there isn't room in their school bags for the clothes, you can bring in a plastic bag with their name clearly written on it to carry them home in. If you have any question give Hilda a ring and I will call you back. The class won't have homework until the New Year. A child told me yesterday that she was so exhausted that she found it difficult to walk to the school gate. So there's definitely a break needed from homework! Tá aifreann ar siúl an Sathairn seo, 14/12/13, ag a 6.30. Bí cinnte go dtógann do pháiste coinneal agus an leabhar THUMB leo go dtí an t-aifreann le bhur dtola. Déanaigí lch 44-47 le do pháiste sa leabhar THUMB le bhur dtola. Beidh an sagart agus na páistí ag caint faoi Naomh Eoin Baiste san Aifreann. 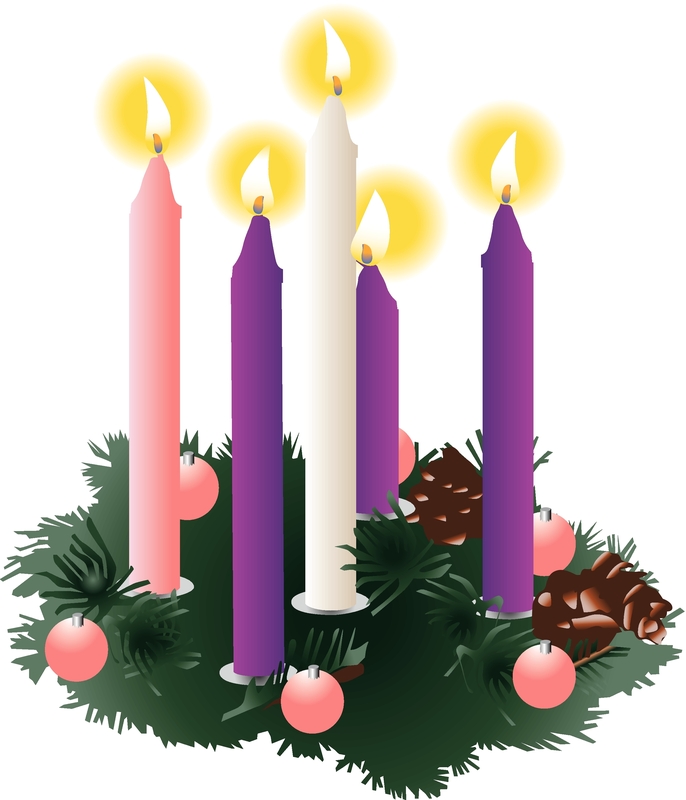 The next mass is this Saturday, 14/12/13 at 6.30. Make sure that your child brings his/her candle and his/her THUMB book to mass. Please complete pages 44-47 of THUMB with your child at home before the mass. The children will be discussing John the Baptist during the mass. Caithfidh R1&R2 teacht isteach amárach 12/12/2013 sna héadaí don dráma. Tóg geansaithe isteach chomh maith ar eagla go mbeidh siad fuar. 1st and 2nd Class must come to school in their drama costumes tomorrow 12.12.2013. Bring jumpers in also in case they are cold. Beidh an ceolchoirm ag tosnú ar a 6 a chlog ar an gCeadaoin an 18.11.'13. Cuirfidh na múinteoiri éagsúla treoracha cuí abhaile níos giorra don am. The concert will begin at 6 pm on Wed 18.12.'13. The individual teachers will give further directions closer to the day. Cuireadh ar an eolas mé inné go raibh botún tar éis tarlú le dáta ceolchoirm na Nollag. Is oth liom a rá nach bhfuil halla Áth an Mhaide ar fáil dúinn tráthnóna Dé Máirt seo chugainn, an 17ú Nollag, 2013. Rachaidh seó na Naíonáin ar aghaidh maidin Dé Máirt (17.12. '13)ach is gá drámaí Ranganna 1, 3 agus 5 a cur ar siúl tráthnóna Dé Céadaoin, an 18ú Nollag 2013 anois ina ionad. Tá súil agam nach gcuireann seo isteach oraibh an iomairce. Níl aon dul as againn agus gabhaim mo leathscéal libh. Beidh na páistí ag cleachtadh na drámaí éagsúla amárach Dé Céadaóin (11ú.12. '13), Déardaoin 12.12. '13, Dé Luan 16.12. '13 agus Dé Máirt, 17.12.'13. Rachaidh siad i mbus ag amannta deifriúla lena ranganna. It was brought to my attention that some mistake had been made with the dates of the Christmas show. Unfortunately the hall is NOT available on Tuesday evening the 17th Dec, 2013. The Junior's show WILL go ahead on Tuesday morning (17.12. '13) but 1st, 3rd and 5th classes shows will have to be postponed until Wednesday the 18th of December 2013 instead. I know this is not ideal. It was a human error mistaking days and dates. I hope it doesn't inconvenience you all too much. There's nothing more we can do and I do apologise for the disruption. The children will have rehearsals tomorrow Wednesday 11.12. '13, Thursday 12.12. '13, Monday 16.12. '13 and Tuesday 17.12.'13. Buses will take them at different times with their classes. Tá cabhair uainn leis na 'props' a thógaint síos go dtí an halla i Áth am Mhaide. Má tá veain / gluaisteán mór agat agus go mbeidh tú in ann troscáin cúlra mór adhmad srl a iompar dúinn, téigh i dteangabháil linn ag an scoil chomh luath agus is féidir. Beidh siad ag teastáil uainn don cleachtadh maidin Déardaoin 12ú Nollaig 2013. We need help to bring the props to Riverstick Hall. If you have a van or a large car and you are able to transport a large timber backdrop for us, please contact the school as soon as possible. We will need them for practising on Thursday morning, 12th December 2013. Tá an scoil ag tacú le Chomhlacht an Naomh Uinsinn de Pól i mbliana arís. Tá Ciseán Nollag á cur le chéile do dhaoine áitiúla. Táimid chun bailiúchán gnáth-bhianna a dhéanamh nach lobhtar go héasca, mar shampla tae, pasta, rís, pónairí, earraí stáin (torthaí - brioscaí, milseáin, rudaí deasa chomh maith! Bheadh dearbháin Supervalu thar a bheith cabhrach/oiriúnach. Mar sin, seol isteach aon bhianna oiriúnacha le do pháiste, má tá fonn ort é seo a dhéanamh. Baileoidh Cumann Naomh Uinsinn de Pól iad ansan ar an 17ú Nollag 2013. The school will be supporting the Society of St. Vincent de Paul again this year. We are going to put a Christmas box together for local people. We will make a collection of staple, non-perishable foods for example cereals, pasta, rice, beans, tinned goods - biscuits, sweets, nice things too! Supervalu vouchers would be particularly suitable/helpful. So, if you wish to partake in this, send in any suitable foods with your children. The St. Vincent de Paul Society will collect them on the 17th December 2013. Bhí cás eile míoltóga ghruaige i Rang Naí Shínsearacha inné 05.12.2013. Ba cheart go scrúdófaí gruaig le bhur bpáistí le bhur dtola, páistí sa rang sin ach go háirithe. We have been informed of another case case of headlice-this time in the Senior Infants classroom yesterday 05.12.2013. Everyone should check their child's hair, especially children in that particular classroom. "I just wanted to say thanks so much to all of you for organising to have the children sing at the shop on Saturday (30.11.2013). The staff were delighted with the lovely atmosphere that it created and we had loads of compliments about them. Thanks also to the parents etc that brought the children along.